Today in this post I will tell you about YouTube Movies Rent. I have told you about how you can watch full movies online for free on YouTube but most of them are classics movies and none are new releases. Now YouTube have partnered with some big Hollywood companies like Sony, Warner Brothers, Universal, etc. 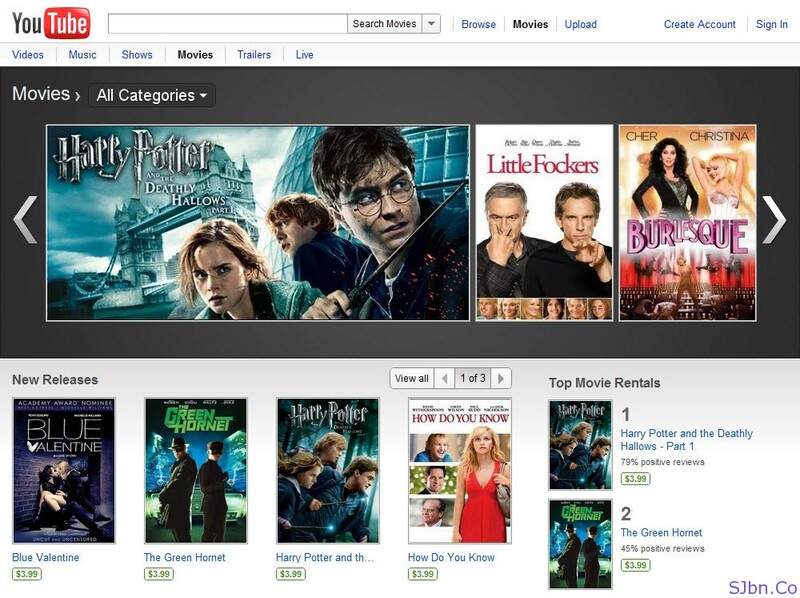 by which now you will able to rent movies which are not available for free on YouTube and most of them are new releases. Before you rent a movie you will able to read Reviews, Trailers, Related Videos and Other Details Related To Movie You Are Going To Rent. To rent and view (rented movies) movies on YouTube you need to login to your YouTube or Google account, and you will able to view that movie unlimited number of times during the period of time specified on the transaction page displayed at the time of your payment. But as always Google did again same thing with India, it is only available for people at US (United States). So we have to wait till it is available in India. You will able to rent movies by going to YouTube.com/movies.